Made With Love’s Picture Frame Plaque allows you to have the best of both – cute impressions of hand and feet, along with their treasured photo! This keepsake includes a 3 x 3 picture frame cut out. 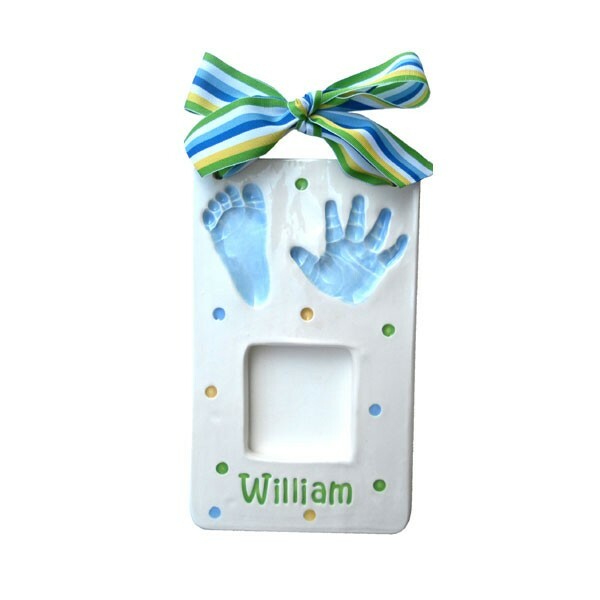 - Hand and Footpring Picture Frame – Can be done up to 12 Months only. 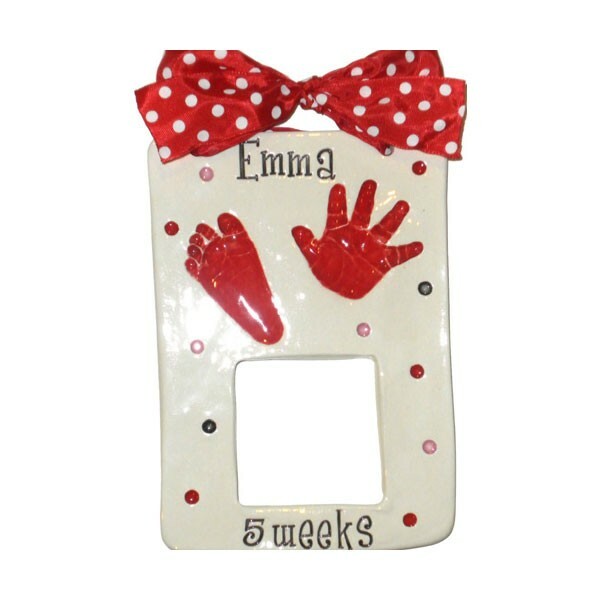 - Single Hand Picture Frame – Can be done up to 6 Years Old. - The picture frame comes with a 3x3 cut out square and a plastic film cover. Order your Handprint Kit today and we will create a beautiful upscale ceramic keepsake of your child's precious hands and feet! Forget about the smudgy ink, DIY Kits that don't work, baking dough that cracks, and messy mixtures. Made with Love's Handprint Kit is completely Mess-Free and easy to do! Don't worry about messing up. You can do it as many times to your liking in the convenience of your home. Our special process will capture all the little wrinkles and fine details of your little one's hands and feet. - Certified Non-toxic Molding Material; completely safe and soft for babies and children. All of our beautiful keepsakes can be personalized. 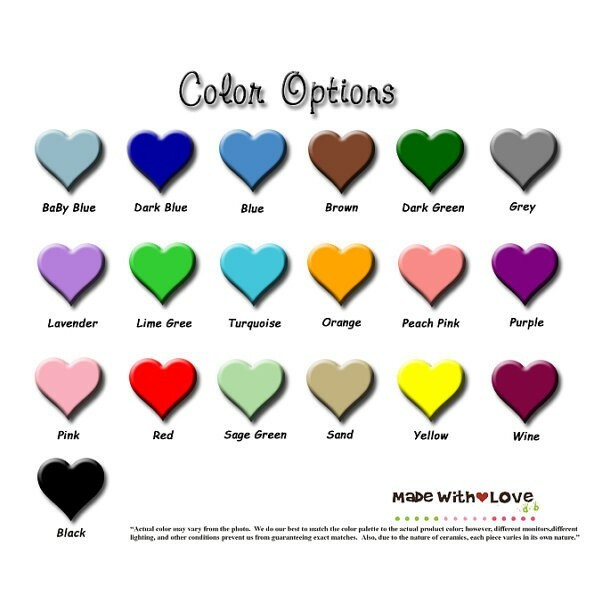 You choose the shape of your keepsake, the colors of your impressions, font, design options, and ribbon of choice! Once your order has been placed online, we will send you the handprint kit within 1-2 days. Then, please allow approximately 8 weeks to receive your beautiful finished keepsake from the date we receive your handprint kit. Made with Love is known for their distinguished upscale, high quality, ceramic keepsake that customers have and continue to cherish. 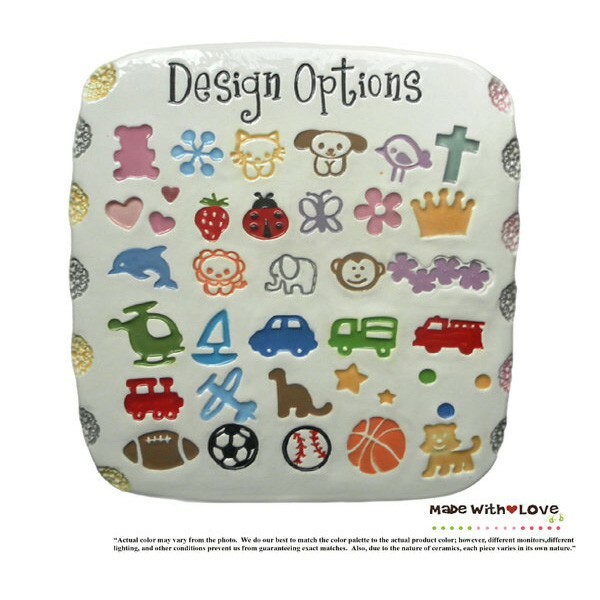 It is through worldwide requests from many of their customers that Made with Love is known for working with many retail stores, schools and children's hospital to provide the highest quality keepsakes around - with thousands of happy customers! 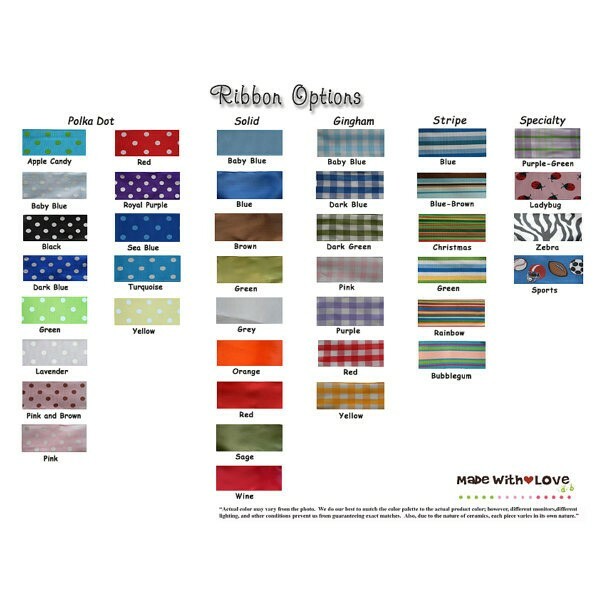 If ordering Two or Three of the Same Design Option, how many additional Design Options would you like on your Keepsake? Subscribe to our newsletter and be the first to know about our newest arrivals and special offers.